I decided to continue with the beach and ocean since the first one I did only included the middle part of the ocean. The line between the ocean and sky was a straight line. Except for a few clouds near the horizon the sky was a beautiful blue the day I was at the beach. 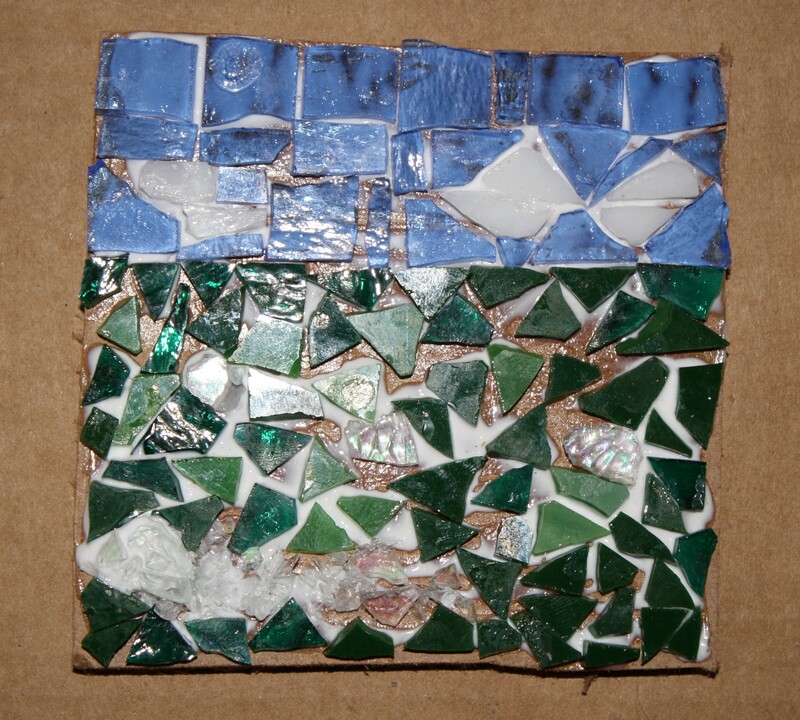 Creating the mosaic today brought back the peaceful feeling I had while I was at the beach.